How would one ship this HazMat in a bulk packaging by vessel when it must first be transported by highway to reach the port? If shipped as a Class 3 Combustible Liquid it would not be acceptable per IMDG. If shipped non-regulated it would not be acceptable by US DOT. A: This is a messy one. I really wish DOT would do away with combustible liquids all together. Your best option is to talk with the carrier, port authorities, vessel operator and/or importer. It is exactly as you say. This is a combustible liquid in bulk under NA1993 that must get to the port. All of that requires regulation under DOT. However, once the vessel gets out of US jurisdiction, IMDG takes over and it becomes not regulated. To make that happen, someone at some point must remove/update all the marks, labels and documentation. The only way to do that is by speaking with those involved with the transit of this material. Q: What is the fine (cost per day & per item) if there is ever a violation involving Hazmat? I remember you mentioned in training that the numbers could be quite high. The example I used in class was the following: For an undeclared shipment of hazmat in PG II offered for transportation without a proper shipping paper, package marking, label and placards has a baseline assessment of $20,000 per day. A: This is a tough one for ICC as we don’t have a lot of information. The final answer would depend on several things. The SDS says this is for commercial use only. What will your final packaging be in terms of size? Will you be selling this for industrial/workplace or professional use? Will it be sold to consumer/retail outlets like Lowes? How will the downstream user be using this product? How is the product currently labeled – OSHA or Consumer Products legislation? If it is only being used in industrial/workplace settings, then an OSHA HazCom 2012 shipped container labeling will be needed. The statement about cancer and most of the information in Section 2 of the attached SDS would be required. 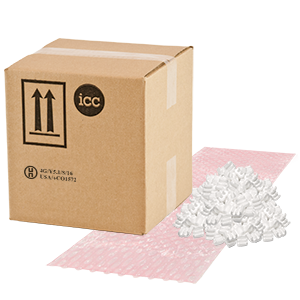 Depending on your packaging that label would go on the inside or on the outside of the container. If you are selling to consumer/retail sales outlets then it is possible OSHA HazCom 2012 will not apply. US Consumer Product labeling would be required here. Both cases could require California Prop 65 information. 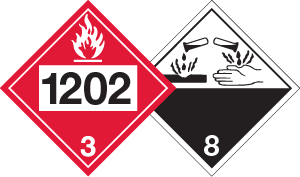 Q: Do hazmat trainers fall under the same recurrent training requirements as other hazmat employees? A: The 49 CFR regulations are not very clear on this topic. However, the attached 2 letters of interpretation clarify things quite a bit. Basically, as long as the trainer is up to date on all the regulations and is knowledgeable there is no requirement. IATA does provide good details in 1.5.6.2 which say essentially the same thing.